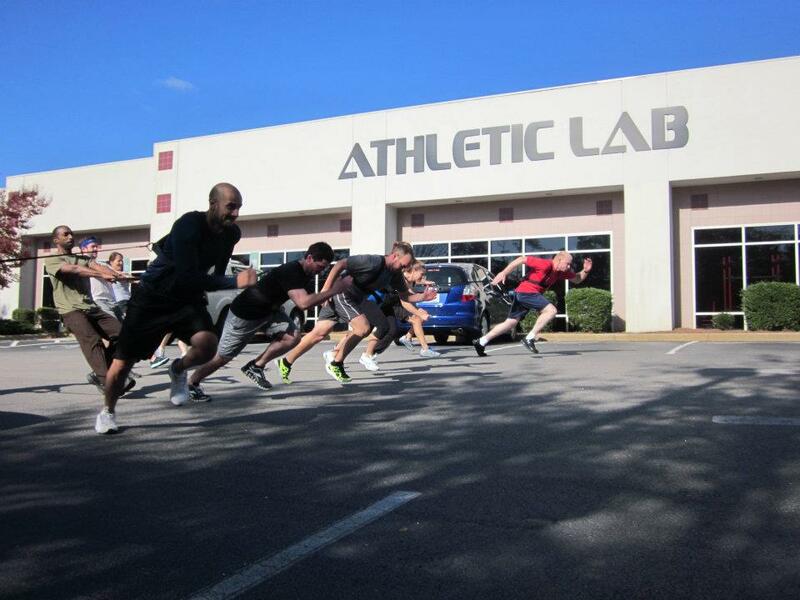 …Athletic Lab was experiencing some major growing pains. 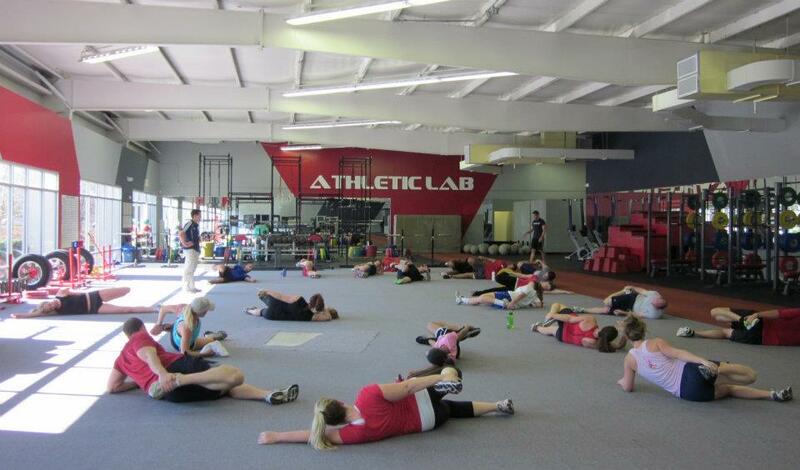 Stretch marks were etching themselves into the belly of our classes- they were overfilling. I never wanted the day to come when someone walked through our doors and I didn’t know their name. That day came and it passed. It was becoming impossible to meet everyone and remember their names, especially if I didn’t teach them in one of my classes. It meant the business was exploding, but it bothered me to have someone in our home when I didn’t know something about them- let alone their name. We needed to restrict the number of people per class to ensure safety and to make sure there was enough available space and equipment. 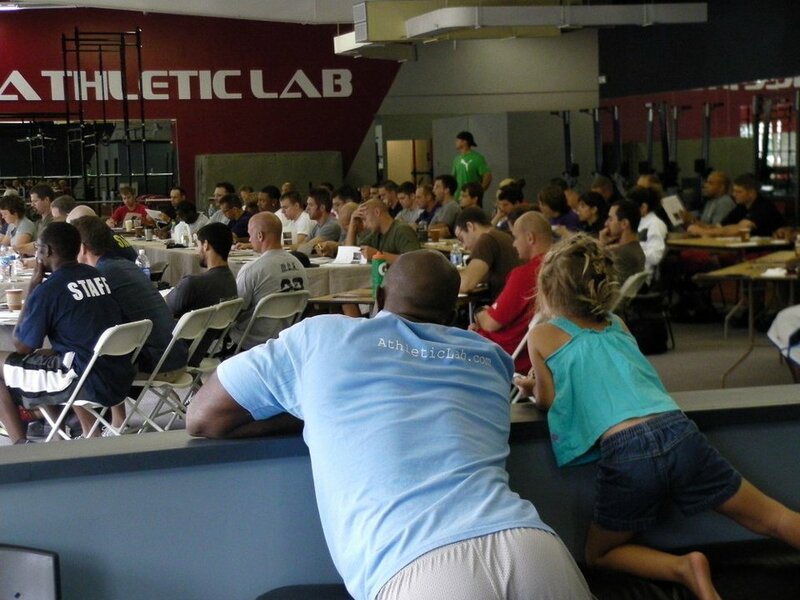 We felt very strongly that our instructors needed to be able to watch the technique of each person in their class. Therefore, class RSVPs became a necessity. We had waiting lists. Members were starting to become discouraged because the classes they wanted to attend were already full. 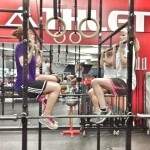 It was to the instructor’s discretion, based on the workout, whether to allow additional people to attend the class or not. There was an urgent need for additional classes but our staff was already being stretched thinly and we didn’t have the additional staff to teach the classes. Instructors couldn’t really miss a class. There was little room in the schedule for someone to become ill or injured. We didn’t have enough instructors to go around. At some point, we’d all taught classes while we were under the weather. During this period of time, I had undergone an emergency operation and I struggled with an infection that landed me in the hospital off and on for over two months. 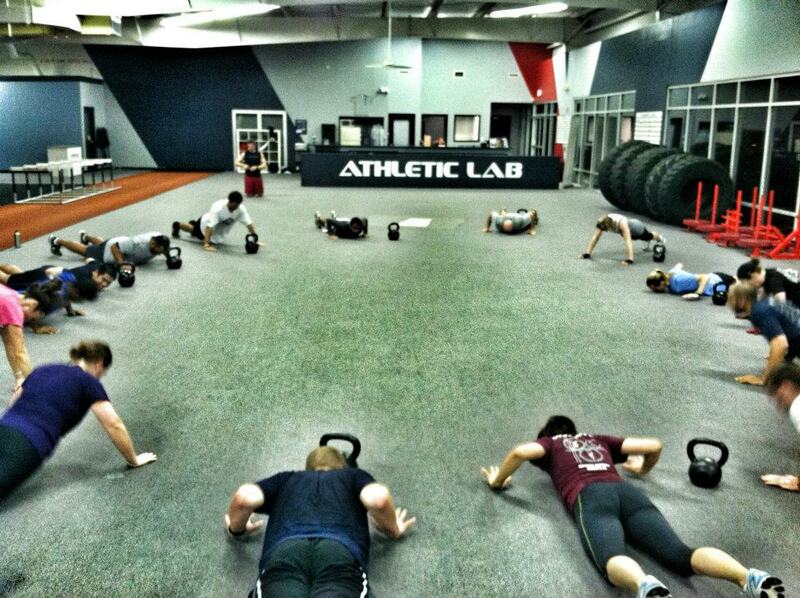 We were understaffed so I taught classes. Just finding the proper words to form a sentence, at times, was a struggle. I don’t really remember much about those classes, but I know they must have been horrible for everyone in attendance. Clients were very understanding. 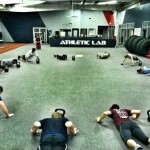 Being an instructor at Athletic Lab involves demonstrating lifting movements and various exercises. It makes it nearly impossible to instruct a class while injured. Greg Maness and Ross and Keri Ackerman, thanks so much for demonstrating for me! Eventually, more employees were added to the mix and the schedule became flexible enough to allow a little more room for an instructor’s illness or injury. We now have more employees and droves of interns. We started assigning two instructors to each class. 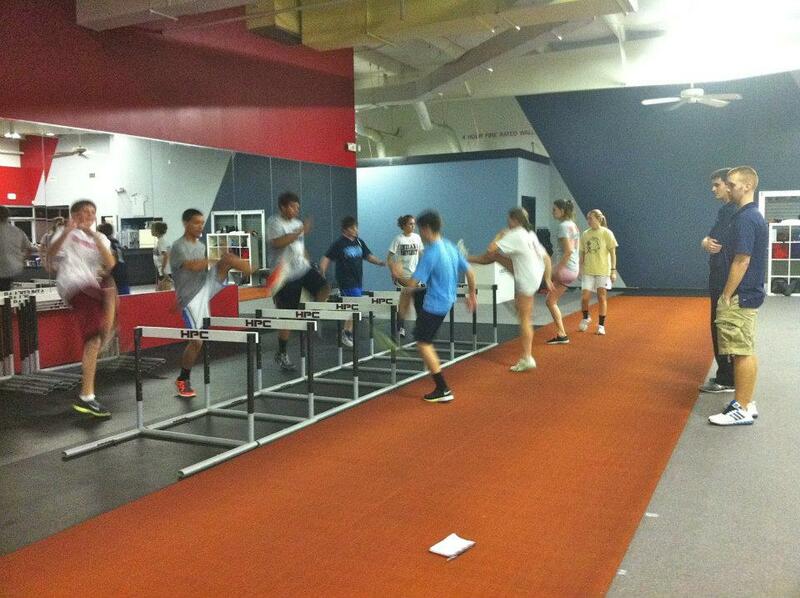 Additional classes were added to the schedule and more equipment was purchased to accommodate our growing client numbers. 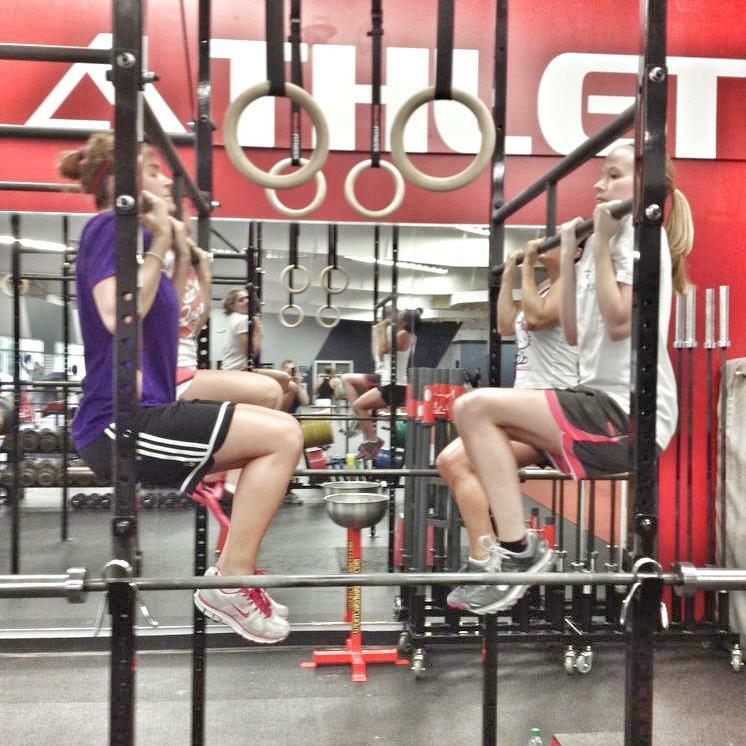 In addition to new bumper plates and weight equipment, we purchased a pull up rig to add an additional six squats racks, enough pullup bars to cover 16 people at a time and room for eight sets of gymnastics rings. After two successful seasons with the Carolina Railhawks as NASL champions, Martin Rennie, the head coach, resigned. He accepted the head coaching position with the Vancouver Whitecaps of the MLS. With the Railhawks’ new coaching staff in place, we ended our relationship with the Railhawks. We quickly replaced them with Cary Invasion, a semi-pro basketball team. 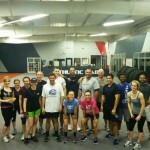 The Cary Police Department also started training with us. A great excitement came when we we were going to be opening our doors to welcome the United States Women’s National Soccer Team. 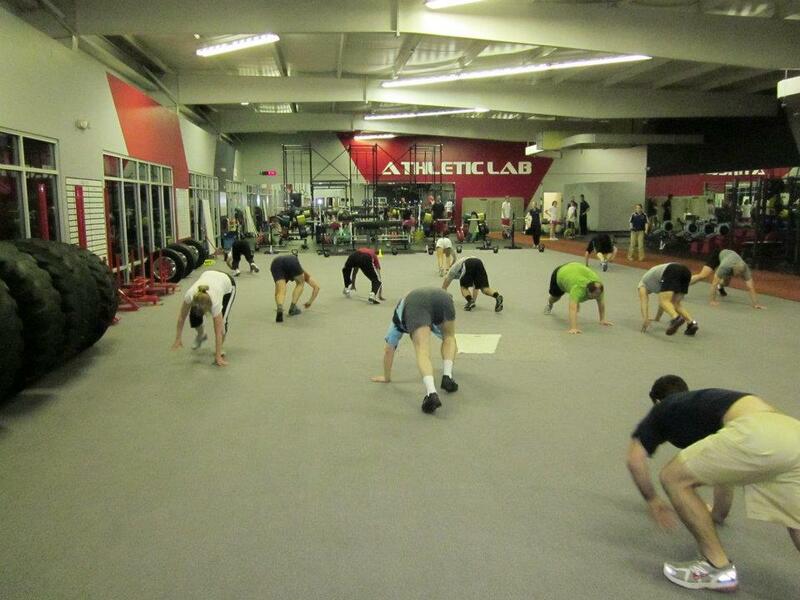 The day beforehand, we tore the entire facility apart to clean every single crevice in the building. All of the equipment was thrown into the middle of the building- onto the carpet, while we were steam cleaning the rubber. We left the facility to take a small break for dinner and I headed back before Mike to get a jump start on the cleaning. It was dark outside and no one else was around. Above the train-like noise of the steam cleaner, I heard a loud knock on the front doors. Dressed in my grimy, stained cleaning clothes that were adorned with holes, I stopped the cleaner and walked toward the door. To my great surprise, Pia Sundhage- the US Women’s National Team Soccer head coach- and her entire coaching staff were waiting on the other side of the door. I looked down at my clothes and back at the disaster behind me. It looked like a bomb had fallen from the sky and dropped directly on Athletic Lab and I was the lone survivor who had crawled out from beneath the rubble. I was so filthy, I didn’t dare shake their hands. Instead, I said, “Come on in. 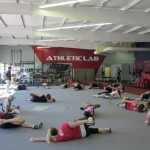 I promise it doesn’t always look like this at Athletic Lab.” Cleaning continued after they left and throughout the night. 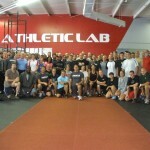 The entire team visited a freshly immaculate Athletic Lab the following day for two hours of extensive training. That same team later went on to take second at the World Cup and they became Olympic gold medalists in London. 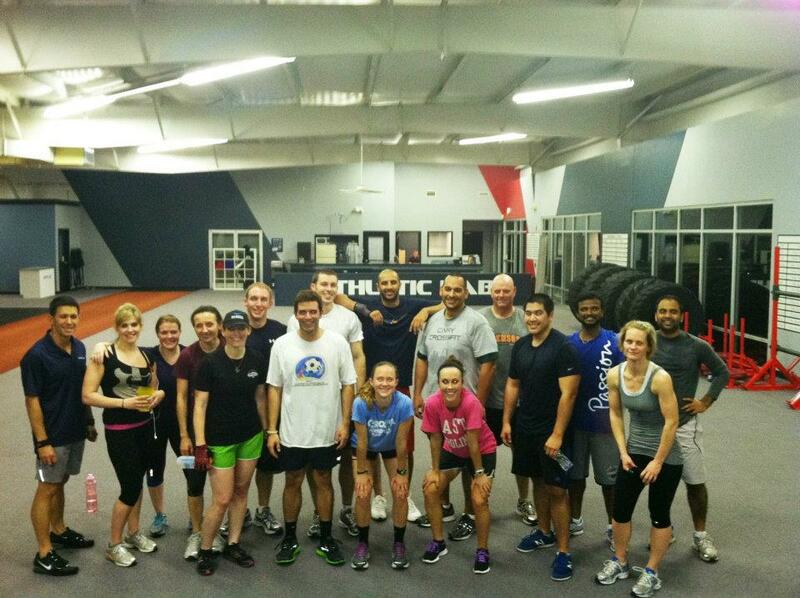 Mike’s private training clients were willing to pay incredible amounts of money to train exclusively with him. His afternoons of private training sessions were sometimes overflowing in to the evening classes. 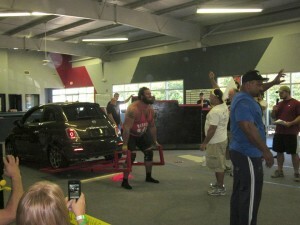 We added a strongman club and hosted a successful strong man competition. 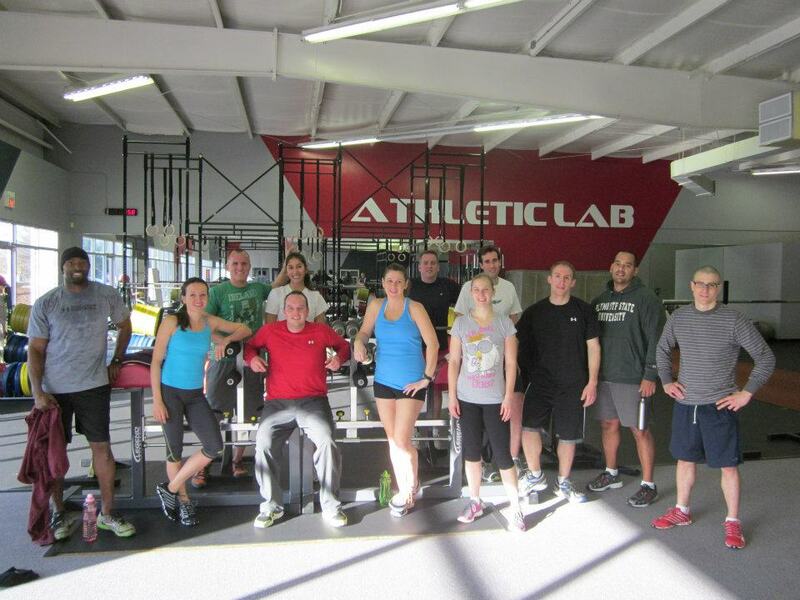 We hosted an Olympic Weightlifting Certification course and we also hosted Olympic Weightlifting and CrossFit competitions that were big successes. 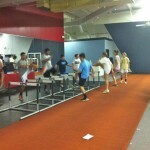 There were some clinics thrown into the mix as well. 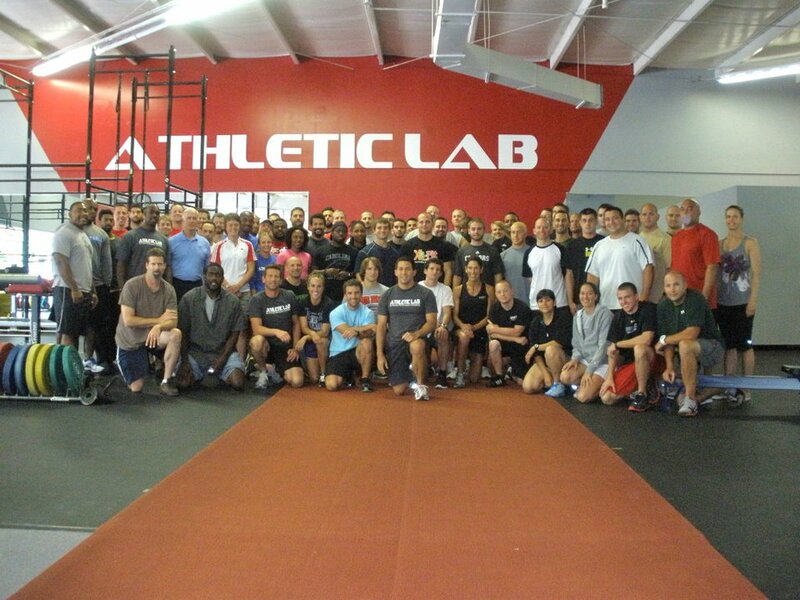 Rewind to when we first opened Athletic Lab 1.0. 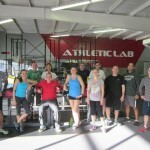 Harvey Newton, famous in the world of Olympic Weightlifting, was an instructor for a clinic we were hosting. It was one of our first clinics. I’m not sure how it happened, but his dinner reservations were somehow missed (I think the clinic went over one evening) and Mike invited him over for dinner at our apartment. When Mike called to tell me to set another place at the table, I looked around our empty rooms and flushed with embarrassment. At least the food was good…minus the spec of rubber spatula in the hummus that the blender chewed off (thankfully, it was never discovered). Eric and his wife, Rachel, joined us. Harvey was a wonderful conversationalist. We sat and listened for hours in awe that we were sitting at the same table with Harvey Newton- not to mention at our own table (the only furniture we had in our home at the time). After the discussion turned to Athletic Lab, I’ll never forget him looking around the table and telling us, “there’s no doubt you’ll succeed. There are no dummies at this table. It’s going to happen. Just be patient and keep working.” A year later, we proudly invited him to our new facility to host the largest clinic in the history of USA Olympic Weightlifting education. A year later, he still remembered that meal. This time, we took him out to eat.